We just finished up the live chat with "Fat White Guy" Rob Lunn at http://www.nhregister.com/. It was fun and informative. The transcript is posted here. 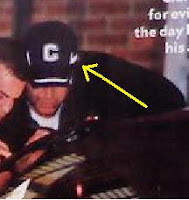 On his blog, "The Fat White Guy", Rob recently posted that one of the detectives who helped solve the Anna Le murder at Yale was photographed wearing a UConn hat in a picture that ran in People magazine. (Rob is a lifelong subscriber to Business Week, The New Yorker and People). If anyone knows who this is, please contact Rob at http://www.thefatwhiteguy.com/. He'd like to send him a free T-shirt. Game 1: South Florida (-6.5) over SYRACUSE - Beating No. 18 Florida State on the road without their star quarterback wasn't enough to get the undefeated Bulls in the polls. Hmm. This one oughta convince those savvy voters. Riiiiiiiight. Game 2: MICHIGAN STATE (-3) over Michigan - Policy change on the Runway. Whenever we see spreads that don't make sense, we do the opposite of what our instincts tell us. (See Pitt-NC State in last week's picks.) George Costanza is a genius. Game 3: Cincinnati (-29) over MIAMI-OH - The preseason Heisman race between Sam Bradford, Colt McCoy and Tim Tebow is over. None are deserving, even if injuries played a role in knocking them out of contention (literally, in Tebow's case). Donald Brown never really got into the conversation last season. How serious will it get for Tony Pike? Game 4: Florida State (-4.5) over BOSTON COLLEGE - After her (soon-to-be) failed attempt at winning one of Connecticut's spots in the U.S. Senate, Linda McMahon's next move will be campaigning to become offensive coordinator at BC. She's just as qualified for that job. Hiyoooooooo! Game 6: INDIANA (+17) over Ohio State - Whatever. Did you happen to see Det. Frank Drebin from Police Squad was undercover and umpiring the Phillies-Astros game earlier this week? That video cracked me up for some reason. Game 7: Oklahoma (-7) over MIAMI-FL - And this is under the assumption Sam Bradford won't play. Game 8: Southern California (-5) over CAL - Where does Stafan Johnson rank on the list of sports-related injuries so gruesome and horrifying, you get queasy just thinking about it? Right between goaltender Clint Malarchuk getting his jugular sliced by a skate blade and Adrian Beltre's severely contused testicle (ugh, I could barely type that without squirming). Beltre loses a little sympathy because of his lifelong refusal to wear a cup despite playing third base in the major leagues. That's like playing Russian Roulette. In all seriousness, we're glad Stafan is doing OK after a very scary mishap. Game 9: Central Michigan (-7.5) over BUFFALO - Dan LeFevour will follow in the footsteps of Ben Roethlisberger, Byron Leftwich and Chad Pennington to become the next starting NFL quarterback out of the MAC. Also, a little known fact, my real first name is Chippewa. That's right. Chippewa Malafronte. Game 10: ILLINOIS (+7) over Penn State - Another little publicized fact: Penn State hired John Turturro to stand in for Joe Paterno as coach this season. JoePa's been home playing pinochle since June. Not only do they look exactly alike (despite a 30-year age gap), but the difference in coaching style is negligible. Paterno? Turturro? Who can tell? Game 11: STANFORD (-5) over California-Los Angeles (also known as UCLA) - Some interesting facts about Hollywood actor Mark Harmon. His father won the Heisman Trophy at Michigan in 1940. He started at quarterback at UCLA in 1972 and 1973. He engineered a stunning upset of two-time defending national champion Nebraska in 1972. He's been married to Pam Dawber (Mindy from "Mork and Mindy") for 22 years. At one time, he called Ricky Nelson and John DeLorean his brothers-in-law. His nephews, Matthew and Gunnar, formed one of the more embarrassing rock groups of all-time: Nelson. He starred in "Summer School", perhaps the most underrated comedy of the 1980s. 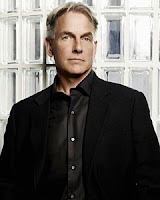 He's in his seventh season starring in the CBS series NCIS. Still not enough to make me go with UCLA this week, but fascinating nonetheless. Game 12: CENTRAL CONNECTICUT STATE (-22) over Sacred Heart - My alma mater has wins over perennial Division I-AA power Lehigh and Ivy League also-ran Columbia (now coached by Norries Wilson). They also played respectably against William & Mary, ranked 7th in the nation. The atmosphere is electric in New Britain these days. I may drive up to Elmer's for a Natural Light draft tonight, just for old time's sake. Get your picks in by clicking the "comments" key below. Just cut and paste the copy of my picks and use that as your template in the future. My picks are usually at the top of the comments section. It's a little easier, and you won't miss any games. So many road favorites and then the one team that looks DOA, Michigan State, is favored. Pics time, color me excited. Well, Cox Cable decided to make ESPN360 available now. Great after the two games UConn played on it already passes. Oh well...let's go! Game 1: Syracuse. Classic hangover game for the Bulls. 13-7 USF hangs on tho. Game 2: Michigan. They were handed the Indiana game, they'll make sure to dominate this week. Game 5: LSU. I want LSU primed and ready to knock off Urban Meyer next week, so a big road win is what they need. Game 6: Ohio State. Indiana choked away the Michigan game, that's going to set them back a lot. 48-14. Game 7: Miami. No Bradford, no go! Game 9: Central Michigan. I thought you were only picking one division I-AA game per week Chip? What's that, the MAC is division I-A? Hmm, coulda fooled me. Game 10: Penn State. Bounce back in a big way. Also, the Big 10 is a terrible brand of football to watch. Game 11: Stanford. Looking for wacky hi-jinks from the Cardinal Mascot. Game 12: Sacred Heart. I don't have many rules in life, but one is when there is a spread over 20 points for when two in-state, low-level, division 1 college football teams square off, always take the team getting the points. Always! Sorry I missed the chat again. Some of us have jobs.